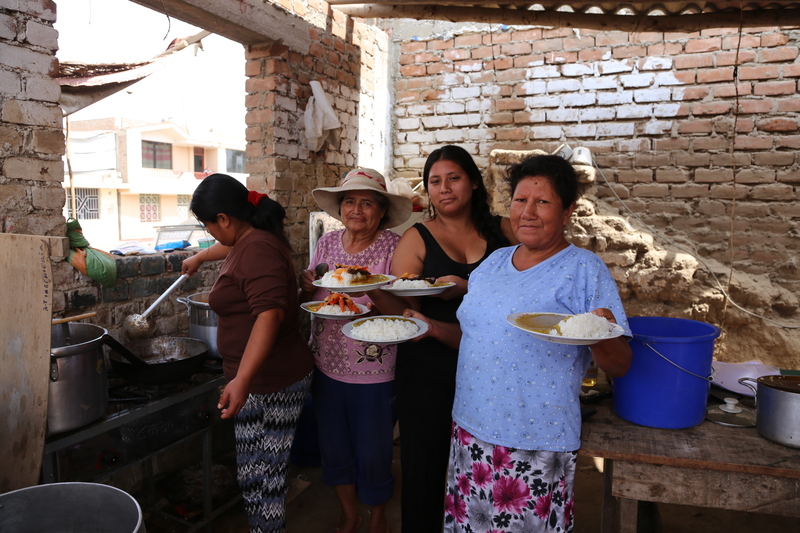 After the horror of the huayco, a flood of mud and rock that thundered down the mountains, the people of Peru have come together over food to help rebuild their communities. In early 2017, all but one of Peru’s 25 regions were hit by the sudden flood that overwhelmed and gutted whole villages. Many people were lucky to escape with just the clothes on their backs. After sheltering on higher ground, many families returned to find homes heavily damaged or destroyed. 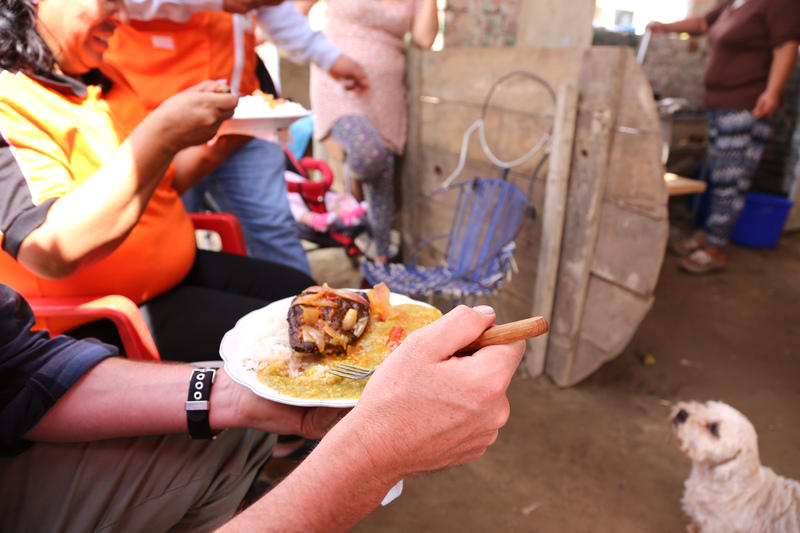 In the district of El Porvenir, so many families had lost everything that the local leaders have organised community kitchens. In these kitchens, different groups cook meals each day and the whole of the community eat together. Yolanda Enriquez is one of the community cooks. She and her husband Santos work in shoe making – the main industry in this area. Yolanda tells us her story while preparing the day’s menu, which consists of rice, split peas, fried beef with peppers and onions, and a spicy sauce made of rocoto chillies with aubergine and sour cream. Yolanda said, “We grabbed a mattress and ran to a building across the road that had a second floor. We waited for hours for the waters to go down, but we had to spend the night on the roof as the first floor was completely flooded. Because our house was made out of adobe bricks, everything was lost. We came back here to rebuild the house. We didn’t have much, but this is our land. A member of the community told us about ShelterBox. We received a ShelterKit, along with instructions on how to build shelter, and household items like mosquito nets and solar lights. 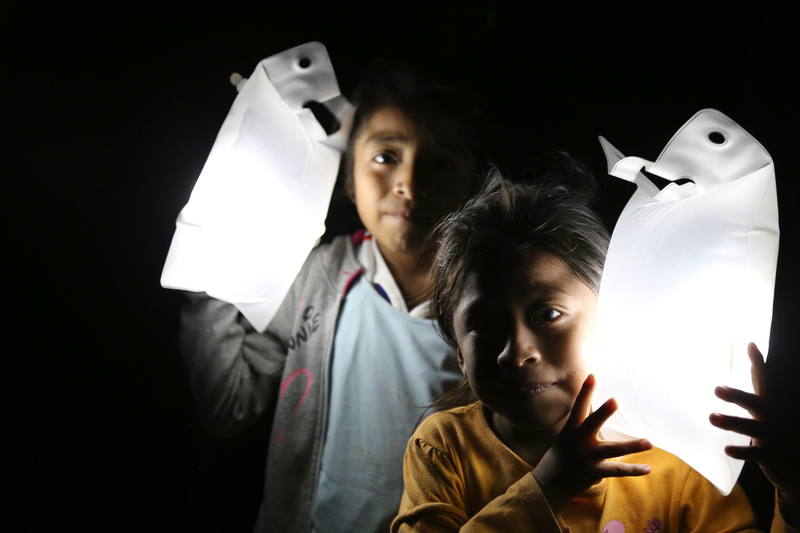 Using the tools and materials, Santos was able to make the shelters that they are currently living in, and the household items have made life more comfortable. The close-knit community is making sure that everyone is looked after following the disaster. The community members have not only helped to make sure that everyone gets ShelterBox aid, but that everyone is fed too. Yolanda said, “The community kitchens have really helped us and have helped everyone as no one has any money for any food. We keep a list of everyone who is coming to eat, so that we know how many portions we need for each family. We tick them off, to make sure everyone has eaten and there is enough to go around for everyone.